Click on the link below to see and select items for quotation. Only a few items are prelisted on the web site. Open the link to the catalog to see the entire offering by Golfire. 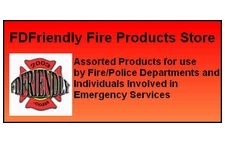 Fire Departments qualify for net 30 day terms. Call 610-584-4996 or email Ch835@aol.com for a quote on any product.